“Habe eine Idee für das letzte Merz-Heft 1924: ‘Letzte Truppenschau aller Ismen von 1914-24’.” schrieb El Lissitzky in einem Brief. Es gelang ihm, Hans Arp für diese Idee zu begeistern. This book begins with definitions by well-known artists of the various movements, or forms of art, of the period. They range from Cubism, Futurism, Expressionism, Abstract Art, through Metaphysicians, Suprematism, Simultanism, Dadaism, Purism, Neoplasticism, Merz, Proun, Perism, Constructivism, to Abstract Film. The section is followed by reproductions illustrating each movement. 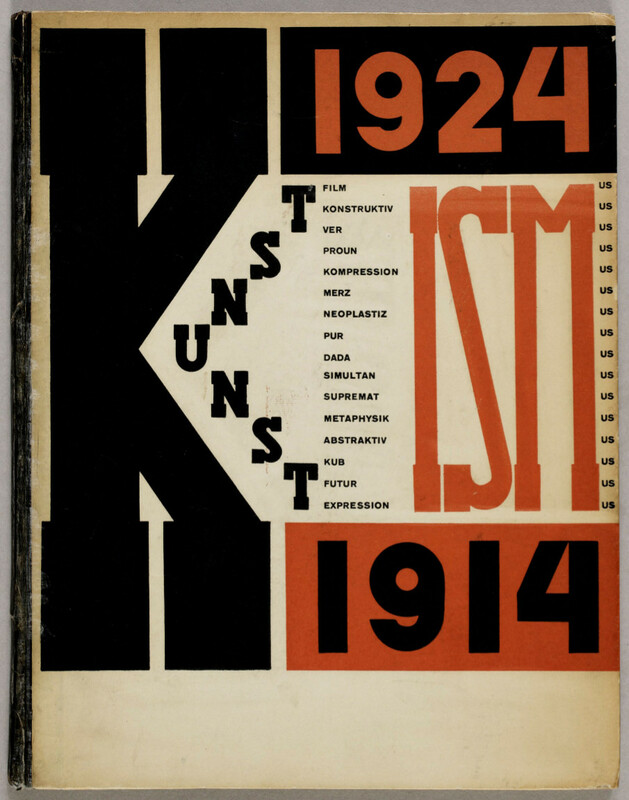 Find more Lissitzky’s publications on Monoskop wiki.